Ballet – We combine Cecchetti, Russian and French styles of ballet to accomplish a class with proper technique and body placement. We teach classic Ballet to achieve a very fulfilling dance experience. Students learn discipline, grace, confidence, proper posture, and technique while on the Ballet barre, engaging in center work and going across the floor. Jazz – A fun style that teaches technique and can really enhance a dancer to have great abilities with the stretching, steps, leaps and turns that Jazz is known for. 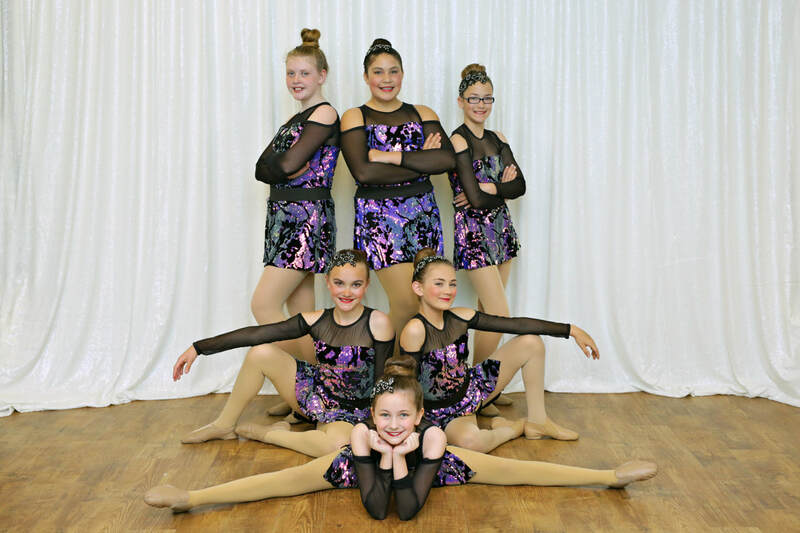 Jazz/Poms - Includes Jazz but has a concentration on strong arms for pom-poms and sharper movements. 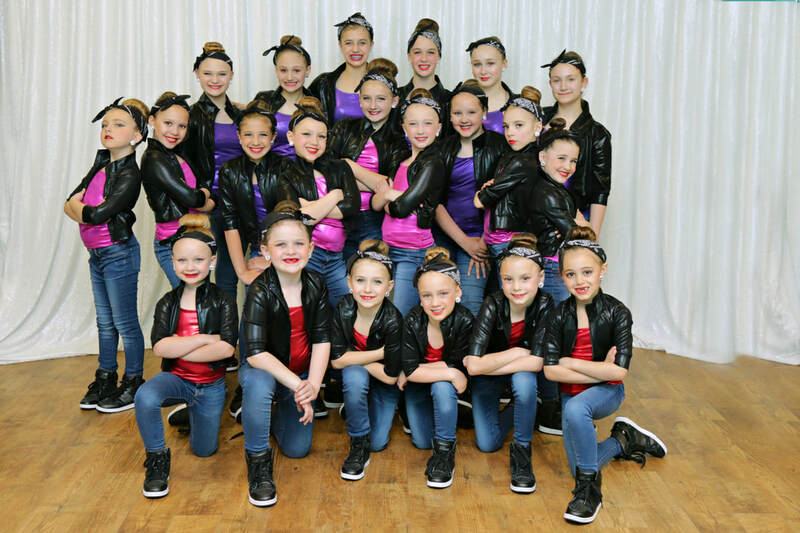 This style is often seen with school and sports dance teams. Dress Code: Appropriate dance attire; leotard, tank top, skirt, shorts, baby tees, capris, jazz pants. Shoe Requirement: Girls- Caramel jazz boots; Boys- Black Tie Jazz Oxfords. 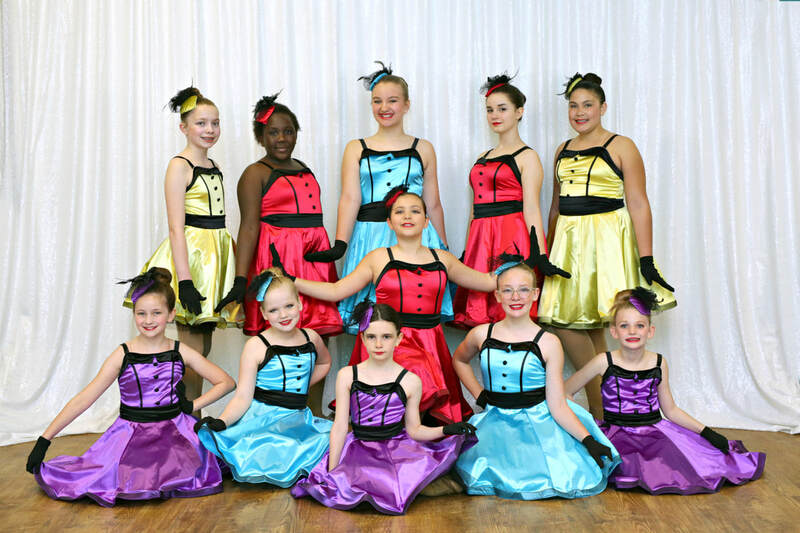 Tap - Tap is a very enjoyable form of dance that focuses primarily on the feet. The dancer makes sounds with the taps, almost as if playing a musical instrument, they learn to count music and feel the rhythm. Excellent for all ages. Hip-Hop - This popular and energetic class form of dance allows dancers to perform with freedom of movement while adding in their own personalities. 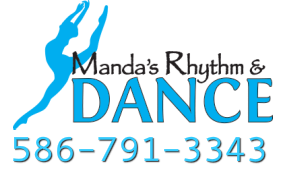 This class uses the latest trends and music to create an age appropriate class that builds self confidence and coordination. Dress Code: Appropriate dance attire and anything that is easy to move in. Shoe Requirement: Clean Tennis shoes. Matching sneakers will be required once costumes are chosen. Musical Theater - This new class focuses on the ability to act and dance simultaneously and performs theater style dances. Great for enhancing performing skills and showmanship. What have people said about our dance classes! Lyrical - Lyrical is a very expressive dance form that fully uses the music to reach the audience and tell a story. This class is a great enhancement to Ballet and Jazz. Dress Code: Solid dark color leotard (preferably black) and stir-up tights. No skirts, shorts, etc. Hair in bun or french braid.